The haudenschildGarage commissioned visual artist Felipe Zuñiga González to create a program for the students of Guillermo Prieto Elementary School. 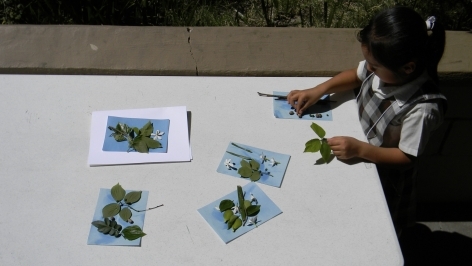 The program, Laboratorio Experimental de Óptica (LEO), in collaboration with the Fundación Migdalia Rubio, supports the population of high risk children in Tijuana and is led by a group of art students at Universidad Autonoma de Baja California (UABC). 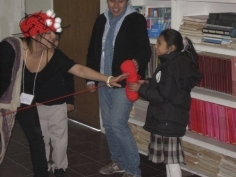 Zuñiga, also a professor at UABC's Escuela de Artes, invited fellow visual artist and professor Mayra Huerta to collaborate with him to create a team of facilitators to teach the LEO classes. The eleven UABC art students were selected to participate based on their academic history and interest in the program. Huerta's and Zuñiga's objectives for LEO are to create a horizontal organization that designs curricula and produces a pilot program for the Fundación Migdalia Rubio that can be adapted and repeated and to create an educational blog that will function as an archive of the activities and log the results produced by the students and facilitators. 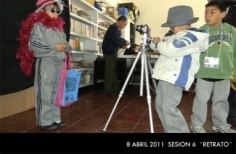 The program will take place in both the classroom and the school's library from February to June 2011. Every Friday the library will be transformed in to THE OBSERVATORY, a place where the students will experiment with the intersection of optics and art. The first unit is based on the notions of light, its reflective phenomena and its relationship to vision and the artifacts that enhance it. In this unit students will work with Newton color wheels, periscopes and kaleidoscopes. The second unit will focus on the basic notions of the camera as an object and the illusion of movement in a zoetrope. Students will construct a stenopeic pinhole camera to create portraits and self-portraits and each student will create a zoetrope strip. The third unit will focus on the basic notions of shadow theater to create short narratives which will be used to produce short animations. Students will learn about hand shadows and create wire sculptures to be used for the short film. Program Coordinators are Profs. Mayra Huerta and Felipe Zúñiga. LEO Facilitators are Araceli Diaz Karol Alcazar, Cecilia Ramos Yeira Araiza, Mireya Solache Mendiola, Diana Andrea Fuentes Salinas, Sofia Vidal Lizárraga, Maria Eugenia Acosta Rubio, Adrian Mejia Figueroa, Chantal Peña Navarro, Cheraman Miguel Morales Valdez, Alicia Rubio Esmeralda Villegas, and Maria Luisa Chavez Vega. Blog Master is Adrian Mejia. 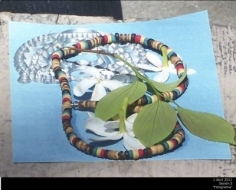 Photo Documentation by Alicia Esmeralda Rubio and Maria Luisa Chavez. Today more than ever visual illiteracy can lead to a society lacking its own criteria against the stereotypical images we are bombarded with daily. These images openly restrict our ability to imagine other scenarios and ways of living. With no chance of understanding our visual ecology, little can be done to create other representations or visions of our future and ourselves. 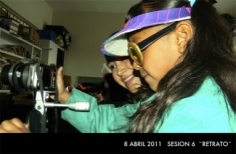 THE OBSERVATORY proposes a platform for experimentation and play to encourage and develop the skills of vision, observation and image production in elementary school children. 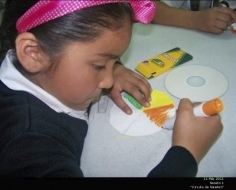 This visual arts program departs radically from the concept of craft classes or art education taught in traditional public elementary schools in Mexico. 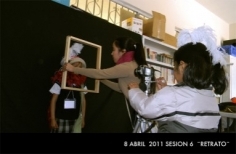 This platform is supported by a team of eleven young visual artists and educators from the Laboratorio Experimentación de Óptica (LEO) of the Escuela de Artes, Universidad Autónoma de Baja California. The purpose of this group is the development of experiences, visual interfaces and products. The students at Guillermo Prieto Elementary School produced three projects that will address the themes of identity, community and justice. Hoy más que nunca el analfabetismo visual puede conducirnos a una sociedad carente de un criterio propio frente a las imágenes estereotípicas con las que somos bombardeados constantemente y que coartan abiertamente nuestra posibilidades para imaginar otros escenarios, otras vidas posibles en nuestro mundo . Sin posibilidades para entender nuestra ecología visual, poco podremos hacer para crear otras representaciones, otras visiones de nosotros mismos y por lo tanto, otras visones sobre nuestro futuro. EL OBSERVATORIO se propone como una plataforma de experimentación y juego para estimular y desarrollar las capacidades de visión, el desarrollo de la observación y la producción de imágenes en niños de primer grado de educación primaria. 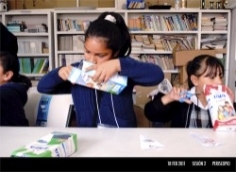 Este proyecto de educación a través de las artes visuales, se aleja radicalmente de la concepción de las clases de manualidades o de la “educación artística” impartida tradicionalmente en las escuelas primarias públicas en México. 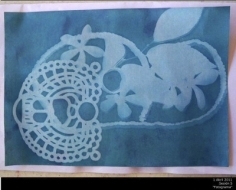 Esta plataforma está soportada por un equipo de colaboradores, principalmente jóvenes artistas visuales y educadores agrupados en el Laboratorio de Experimentación Optica de la Escuela de Artes de la Universidad de Tijuana. El cometido de este grupo es el desarrollo de las experiencias, interfaces y productos visuales a partir de los cuales los niños producirán tres proyectos que retomarán los siguientes ejes temáticos: identidad, comunidad y justicia. The work of Felipe Zúñiga González (b. Mexico City, 1978) focuses on the interconnection between body, communication and space in the intersection between performance, language, and video. This broad equation contracts and expands depending on the nature of the work’s location – intimate and private, or public space. A key aspect of Zúñiga’s art practice concerns the fluctuating relationship between the individual/personal and the collective/social. While the ways in which language informs identity and shapes – contracts, expands, displaces – private and public space, is a primary interest. In pursuit of these concerns Zúñiga implements a range of strategies, from the position of performer to that of curator/producer and educator. In each case, his primary intention is to generate a platform of communication that can modify (even for a minimal time) the perception of a person, a situation, or a place. Felipe Zúñiga’s installations and videos have been shown in Mexico and internationally, including at Alexandria Contemporary Arts Forum (ACAF), Egypt; Kran Film, Bruxelles; Zacheta National Gallery of Art, Warsaw, Poland; El Centro Cultural Español (CCE), Miami, Florida; the Consulate General of Mexico, Los Angeles, California; and Casa del Lago, Mexico City. The program includes the collaboration of Tijuana-based architect Giacomo Castagnola who designed a mobile, flexible workshop unit (Wu). Wu works as a storage space, exhibition totem, and table with display panels for the students. Generating multiple activities and workshops around it, Wu exists as a micro-infrastructure for small workshops, facilitating the interaction between users. The tables can be folded and unfolded with side wings; the front top table opens to reveal multiple container boxes for small, medium and large format materials. The unit has storage on top, in the front and back and the interior has cork panels to post information or display exhibitions.